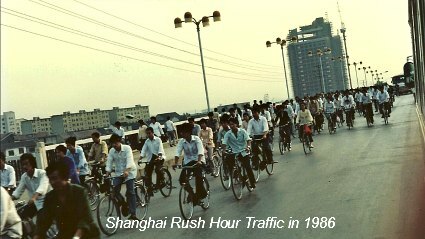 When I first traveled in China in 1986, options were very limited. There were few hotels and quality was hit or miss. You could not venture easily on your own since most places were still closed to foreigners. Roads and infrastructure was chaotic to say the least. Tourism has come a long way since then. Hotels are popping up everywhere with excellent standards that rival and in many cases, surpass the West. Transportation networks are extensive and modern although still chaotic. Getting around China on your own has never been easier. 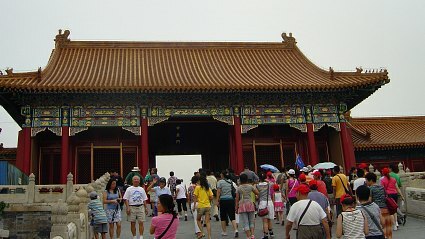 Likewise, there is no shortage of tour packages to China on offer online and offline. China Travel Tour companies have a mind-boggling range of options. You can go cheap and you can go as luxurious as you wish. Tour packages from a few days to a few weeks, even months, to choose from. Some people prefer to arrange it all by themselves, some people prefer to leave it all to "the experts". Choose what's best for your own travel style, budget and personal circumstances. In the end, there is no "better way" other than what you will be comfortable with. Traveling with a family-friendly organized China tour: If you like traveling in a group and don't have much time to plan the trip, this is a good way to go. You can leave all the details to the pro's and you concentrate on having a good time! This also means you have to stick with one of the pre-arranged "off-the-rack" tours. Traveling with a private tour customized for your family and friends: If you prefer to put together your own group and to have more flexibility than what the organized tour would give you, some companies offer alternatives to customize your own. Traveling on your own: This is great for those who like exploring and planning and organizing all the details (and have the time to do so) If you don't want to have a set plan and want a flexible schedule, this is definitely the way to go. Having enjoyed all the above ways of travel, there isn't one I would recommend over the other ones, it really is a matter of preference and circumstances. We are normally independent travelers and like to go at our own pace. On our last trip, we considered having a combination of a "private tour" and traveling on our own because of the size of our group and to make things easier with grandma and grandpa and the kids. This was the right option for us. We did cover a lot of ground with the limited time we had and still felt very relaxed. It was enjoyable without the hassles of arranging transportation for our large group and losing half of it in the middle of town! It was nice having our own van with driver that would conveniently materialize at the right moment to take us where we needed to go. Time was our precious commodity on this trip, we didn't need to spend it making arrangements or waiting around. Grandma and grandpa appreciated not having to walk long distances to look for transportation or up and down the stairs to get to the subway. Summer time is not a very pleasant time of the year for either. We did our own planning and itinerary ahead of time and made adjustments as we went along. We had plenty of time on our own to poke around, shop, and visit with friends. For us, this was our best way to travel! Consider your options and circumstances to decide what your best way to travel is. How large is your group? Is everybody in good health or are there members with limited mobility? How do you normally travel? Do you have the time (and nerves...) to plan and organize? Finances will also play a role in your decision. It's important to find a good balance between cost vs. time and convenience depending on your priorities. And whichever way you choose will be suitable with the right attitude and an open mind! 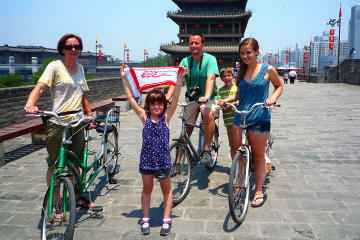 You are here: Home > Plan Your China Trip > Is a China Travel Tour for You?